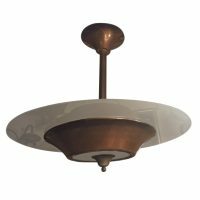 A semi flush mounted light fixture with bronze fittings and center rod pendant. 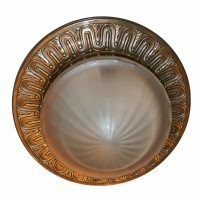 Variable drop. 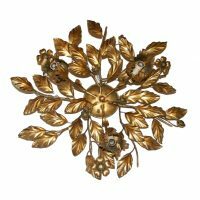 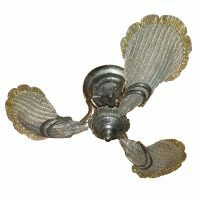 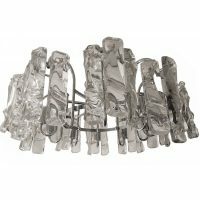 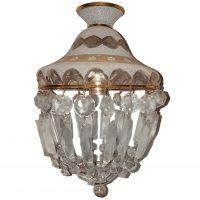 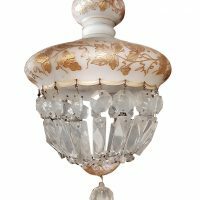 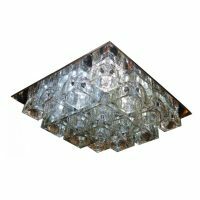 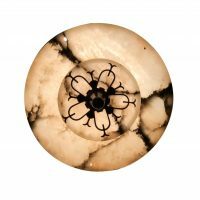 Measurements: Height: 14" Diameter: 14.25"
A circa 1960s French semi-flush mounted capiz shell ceiling fixture with four interior candelabra lights. 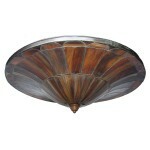 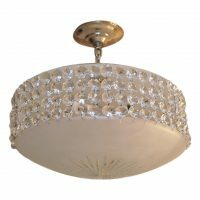 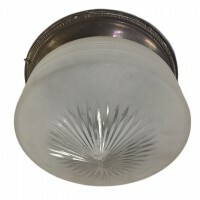 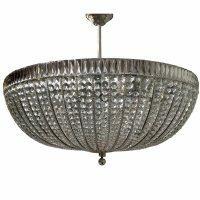 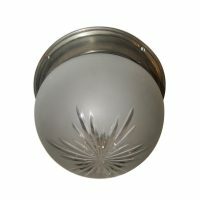 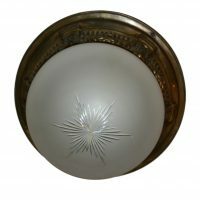 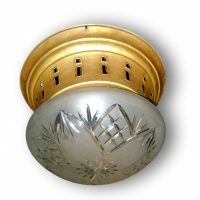 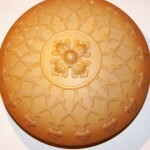 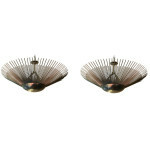 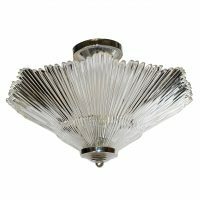 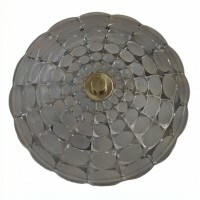 Measurements: Diameter: 19.5" Drop: 12"
A circa 1960 capiz flush mounted light fixture. 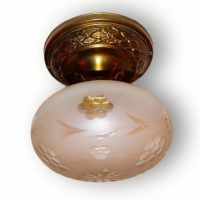 Natural color with pink details. 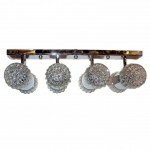 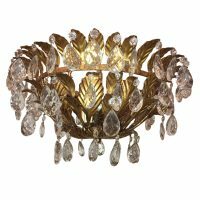 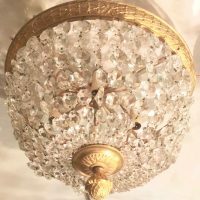 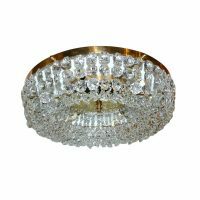 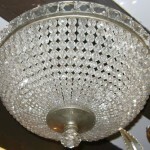 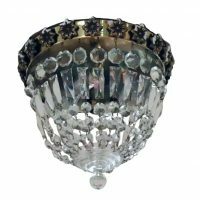 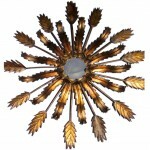 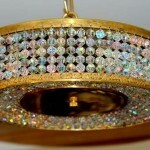 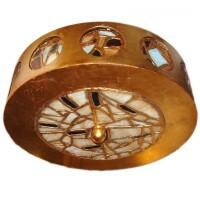 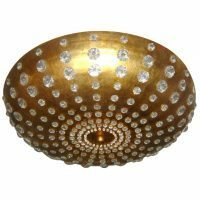 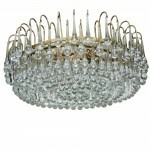 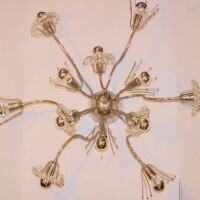 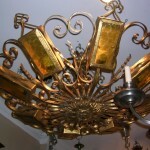 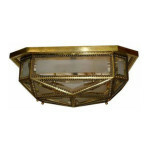 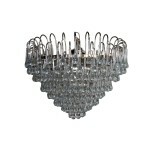 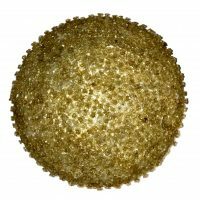 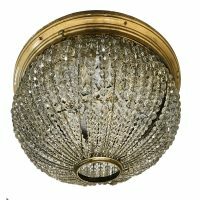 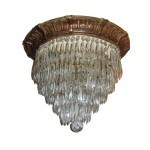 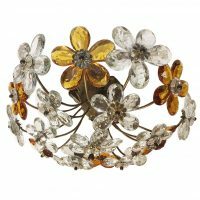 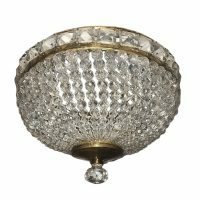 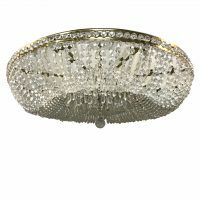 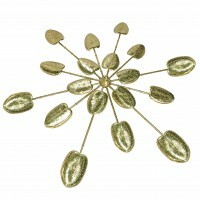 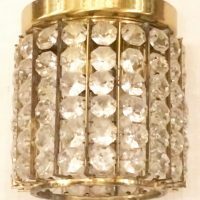 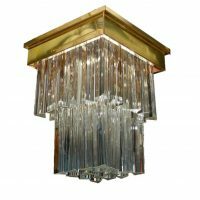 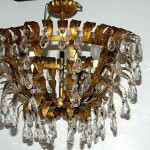 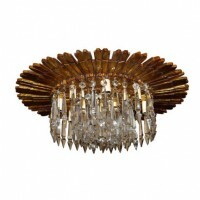 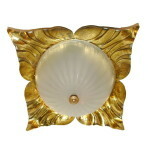 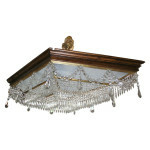 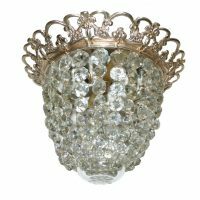 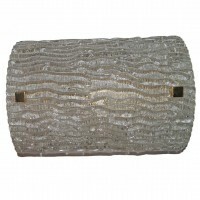 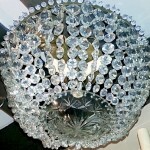 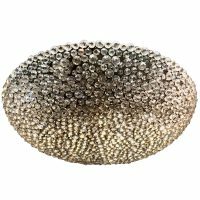 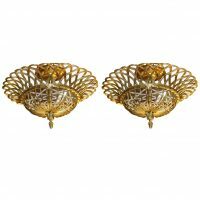 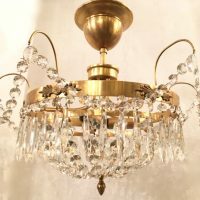 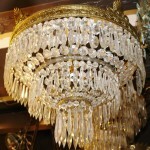 Measurements: Diameter: 9" Drop: 6"
A gilt metal and crystals, circa 1930 French light fixture with 5 interior lights. 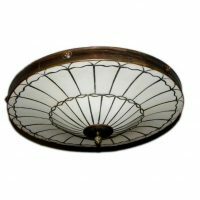 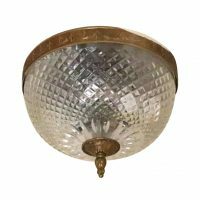 Measurements: Diameter: 21" Drop: 5.5"
Circa 1920's Italian gilt metal and frosted etched glass light fixture. 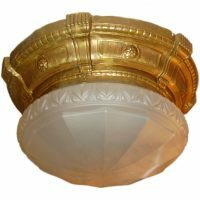 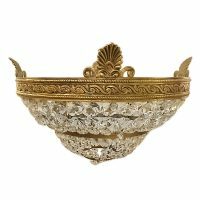 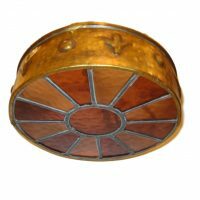 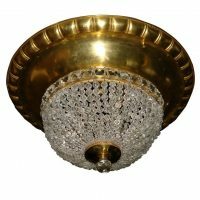 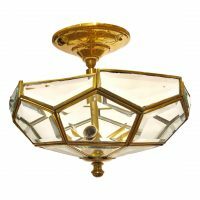 Measurements: Diameter: 12" Drop: 10"
A circa 1930's French gilt metal flush mounted light fixture with 3 lights. 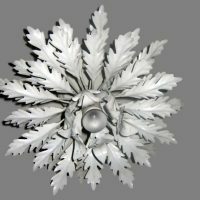 The body has a foliage and floral motif. 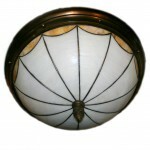 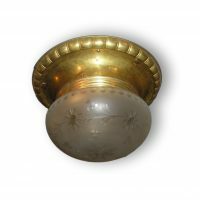 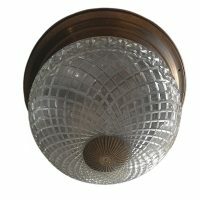 Measurements: Height (drop): 7.5" Diameter: 22.5"
A circa 1920's French molded glass and brass flush mounted fixture. 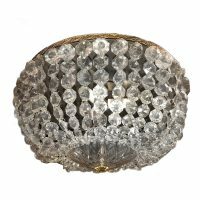 Measurements: Drop: 8.75" Diameter: 17.5"
Circa 1920's French gilt metal light fixture with amethyst crystals. 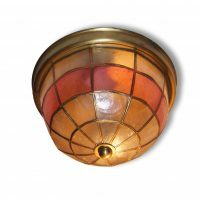 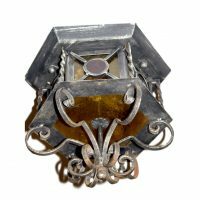 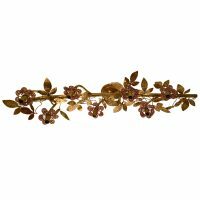 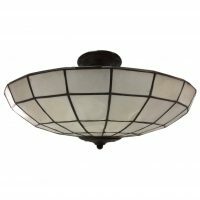 Measurements: Length: 40" Width: 9" Drop: 7.5"
A circa 1920's Italian wrought iron flush-mounted light fixture with amber and red glass insets. 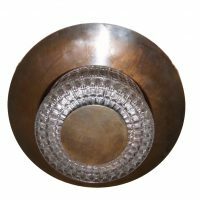 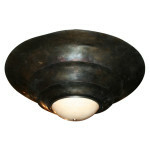 Measurements: Height: 11" Diameter: 12"
Circa 1940's Danish bronze light fixture with glass inset. 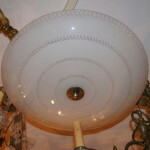 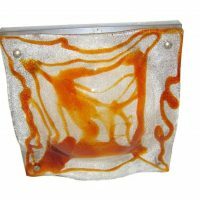 Single interior light, covered by the molded glass piece. 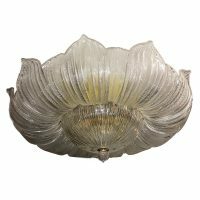 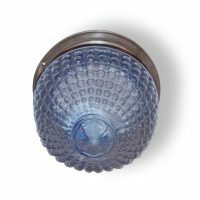 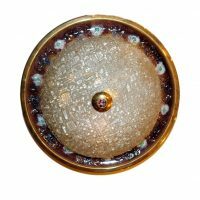 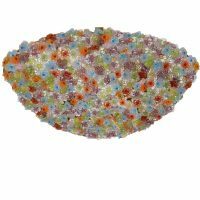 Measurements: Diameter: 10" Drop: 6"
A circa late 1940's Italian enameled metal and molded glass light fixture with 3 interior lights. 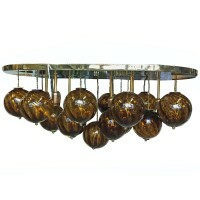 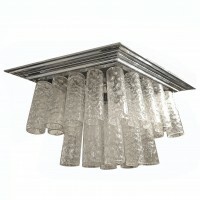 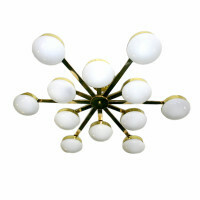 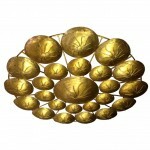 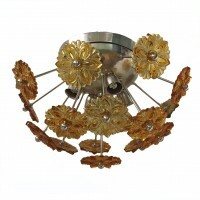 Measurements: Diameter: 22" Drop: 7"
Circa 1960's Italian light fixture, gilt frame with suspended glass pendants. 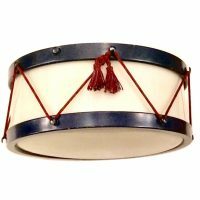 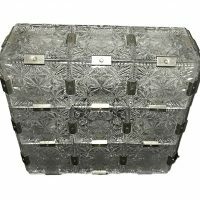 Measurements: Drop: 14" Width: 10"